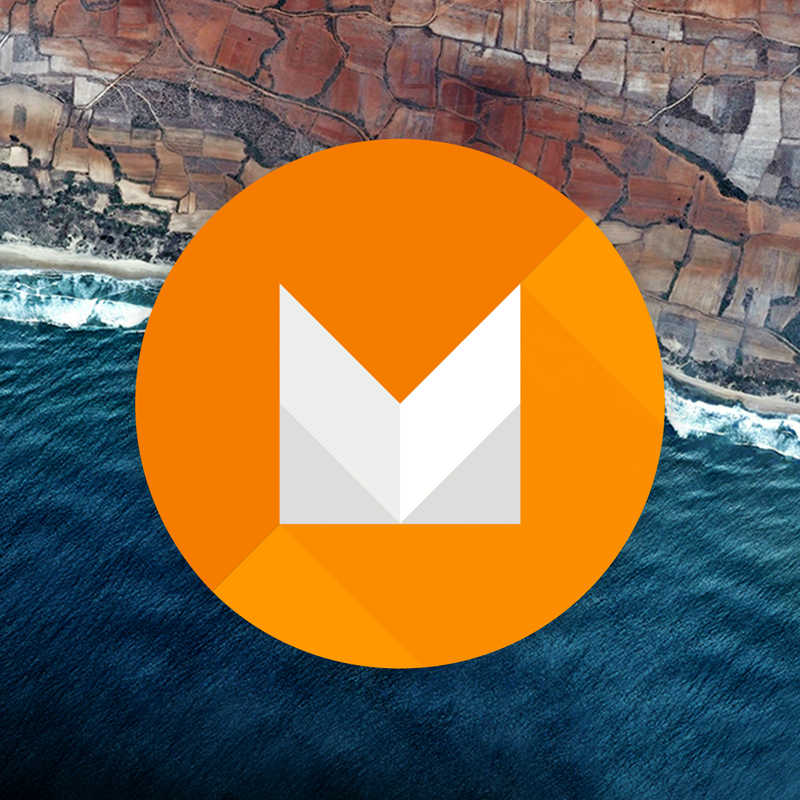 We've already talked about Doze in Android M a few times. That's a system-wide state that keeps your phone or tablet in deep sleep when it's not being used. App Standby is a distinct feature that works to keep individual unused apps from gobbling up power in the background. Depending on how many apps you install on your phone, this could be a bigger deal than Doze. 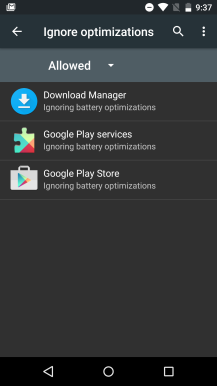 App Standby is focused on taming the apps you don't use much, so it should only kick in once you've gone several days without launching or interacting with a given app. 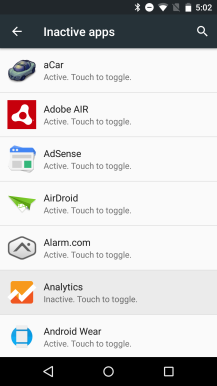 An app on Android M will be marked as idle unless one of the following have happened in the last few days. The app is explicitly launched by the user. The user explicitly asks for the app to be exempt from optimizations, via Settings. 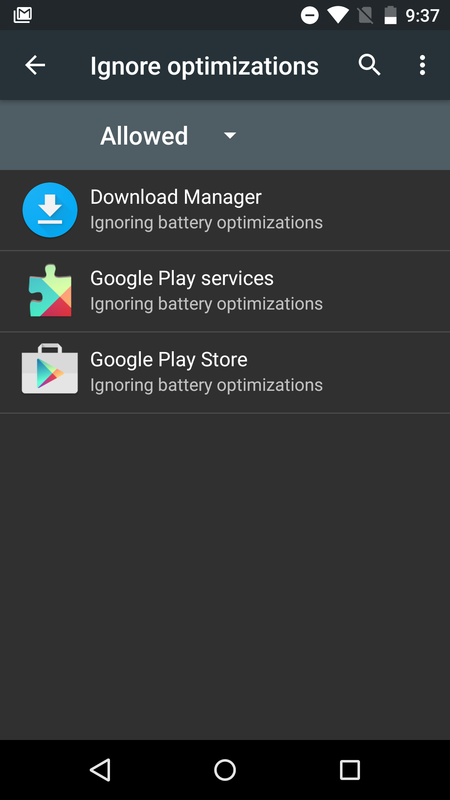 Should an app end up labeled as idle, it will lose network connectivity and all its sync jobs will be halted. These restrictions are lifted when the device is plugged into power, but even if you don't plug in, apps in Standby get a single chance to sync every day or so. 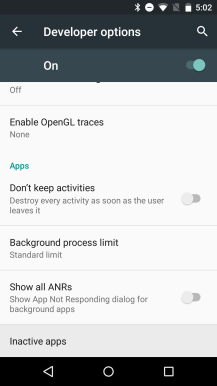 A high-priority Google Cloud Messaging alert can also allow these apps a brief window of network connectivity. Comparisons have been made between Doze and Greenify, but I think Standby is probably a better match for Greenify. We're not sure which ones, but some of these settings can bypass Standby mode. 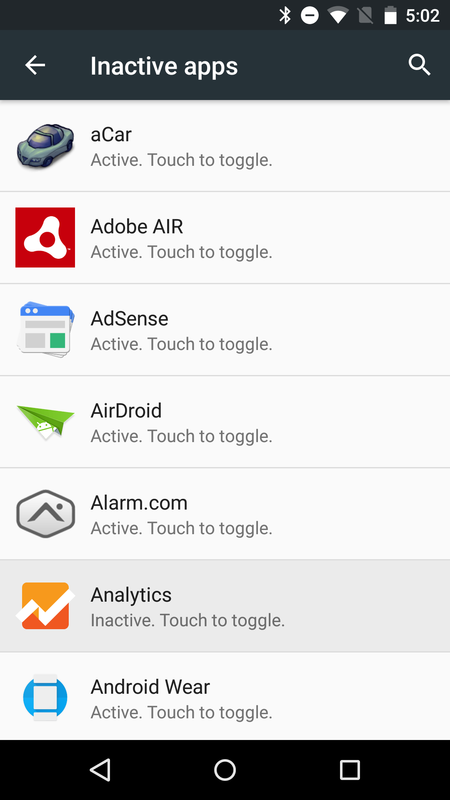 The settings mentioned above might be the Inactive apps menu in developer settings. It might also refer to the Ignore Optimizations menu that we talked about earlier with Doze—this one toggle might affect both types of optimization. You can hear Googlers talk a little about Standby in the video below at about 12 minutes.